We are the Hacketts, Allie and Michaela: runners, twins, and soon-to-be CPAs! Training to be a world-class runner is more than a full-time job. Your support will make a huge difference as we pursue our dream to represent the USA while fulfilling our off-the-track goals of being CPAs and making a difference in our community. Thank you! Favorite Place to Compete: Anywhere with good weather! "Although we are from the Northeast, we went to college in Texas, so can race in any conditions- we've seen it all!" From Cranston, RI, Allie and Michaela Hackett attended Cranston West High School where they combined for 24 varsity letters in cross country and track in addition to numerous all-state titles. Following their graduation in 2013, both Allie and Michaela decided to take their talents to Abilene Christian University in Texas. While there, they would rewrite the ACU record books. 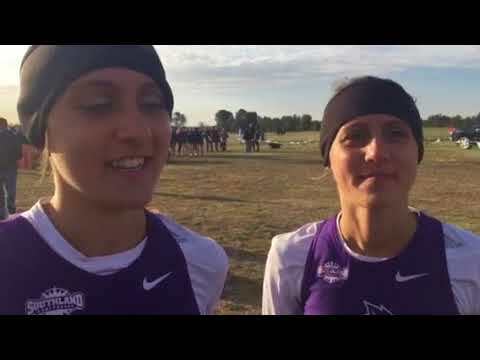 While setting school records in distances ranging from 3k through 10k, the Hackett twins would earn multiple All-Southland Conference titles and earn the opportunity to represent Abilene Christian at the NCAA XC Championships, the first duo to do so in school history. They were able to achieve these feats while earning undergraduate degrees in Accounting and Finance and followed with each a Master's of Accountancy. "We are soon-to-be CPAs and elite runners for BAA." Having now relocated back to their hometown of Cranston, RI, Allie and Michaela have joined the elite Boston Athletic Association team, eying the opportunity to be on the starting line of the 2020 Olympic Trials Marathon. They will be balancing their full-time running efforts with full-time jobs as CPAs for Ernst and Young.